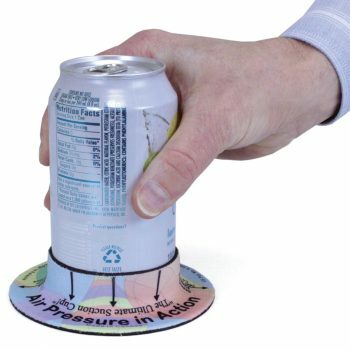 Atmospheric Mat, Air Pressure: Educational Innovations, Inc. Dramatic introduction to the concept of air pressure! There's nothing like a discrepant event demonstration to bring an abstract concept to life. Our Atmospheric Mat offers a dramatic introduction to the concept of air pressure. Invite your students to pick up the mat. 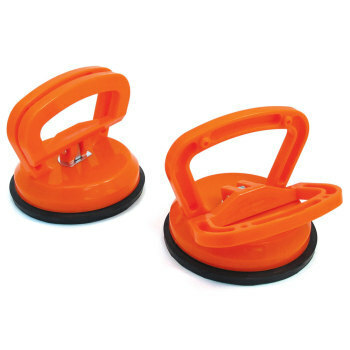 No matter how hard they pull on its sturdy metal hook, this mat will not budge! Is it some kind of suction trick? Nope! It's just air pressure. The room's air pressure is so much greater than the pressure under the mat that - in effect - the air itself is holding the mat in place. Works on almost any smooth surface. Measures 26.6 cm x 26.6 cm (10.5" x 10.5"). Read more on our Blog - Inspiring Curiosity with the Atmospheric Mat! This is a great demo of the force of atmospheric pressure for a kids science class. My students couldn't get enough of this demo. Even after they understood that suction wasn't involved, they still wanted to keep trying it! Students can use the Atmospheric Mat to analyze data from tests of two objects designed to solve the same problem to compare the strengths and weaknesses of how each performs. Students can ask questions to obtain information about the purpose of weather forecasting to prepare for, and respond to, severe weather. Students can apply knowledge gained from the Atmospheric Mat demonstration to understand the power of air pressure and how Air Pressure is a factor in forecasting weather. Students can use the Atmospheric Mat in a plan and conduct an investigation to provide evidence of the effects of balanced and unbalanced forces on the motion of an object. Students can use the Atmospheric Mat to plan an investigation to provide evidence that the change in an object's motion depends on the sum of the forces on the object and the mass of the object. Students can use the Atmospheric Mat in an investigation to define simple design problems reflecting a need or a want that includes specified criteria for success and constraints on materials, time, or cost. Students can use the Atmospheric Mat in an investigation to design a solution to a complex real-world problem by breaking it down into smaller, more manageable problems that can be solved through engineering. Students can apply knowledge gained from the Atmospheric Mat demonstration (See Lesson Ideas), to use a model to describe how variations in the flow of energy into and out of Earth systems results in changes in climate. The Atmospheric Mat will help students to feel the power of air pressure. 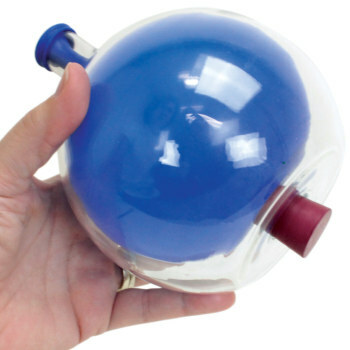 Use it to teach students the 'truths' about air pressure, 'There is no suction!' Students can calculate based on the area of the mat and the standard air pressure to calculate how much force is required to pull the mat up. 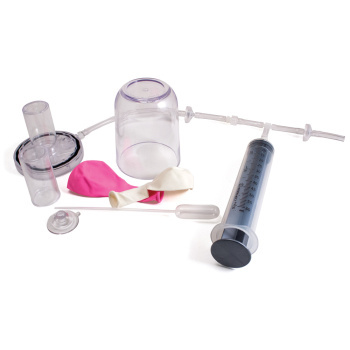 Students can use the Atmospheric Mat in a number of different investigations on air pressure. Use spring scales to acquire quantitative data and make measurements of the pull. With the manipulation of variables, students get real world and inquiry engineering learning opportunities.